Crumbled feed designed to be fed to laying chickens in production. 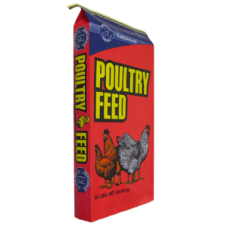 It is a crumbled version of..
Pelletized feed designed to be fed to laying chickens in production. 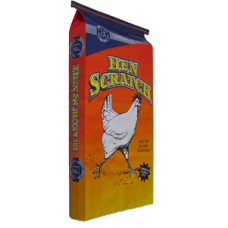 A complete feed, it ..
16% crumbled feed designed to be fed to laying chickens in production. It is a c.. Combination of chopped corn, milo, and wheat. It is a 9% protein feed and can be fed free ch.. 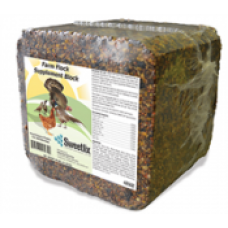 Supplement feed block for all classes of poultry, fowl and game birds. Delivers high qual..